Comrade Rosa Luxemburg's article in Nos. 42 and 43 of the Neue Zeit is a criticism of my Russian book on the crisis in our Party. * [* One Step Forward, Two Steps Back---pp. 203-425 of this volume.—Ed.] I cannot but thank our German comrades for their attention to our Party literature and their attempts to acquaint German Social-Democrats with it, but I must point out that Rosa Luxemburg's Neue Zeit article does not acquaint the reader with my book, but with something else. This may be seen from the following instances. Comrade Luxemburg says, for example, that my book is a clear and detailed expression of the point of view of “intransigent centralism”. Comrade Luxemburg thus supposes that I defend one system of organisation against another. But actually that is not so. From the first to the last page of my book, I defend the elementary principles of any conceivable system of party organisation: My book is not concerned with the difference between one system of organisation and another, but with how any system is to be maintained, criticised, and rectified in a manner consistent with the party idea. Rosa Luxemburg further says that “according to his [Lenin's] conception, the Central Committee has the right to organise all the local Party committees”. Actually that is not so. What my views on this subject are can be documentarily proved by the draft Rules of Party Organisation which I proposed. In that draft there is nothing about any right to organise the local committees. That right was introduced into the Party Rules by the commission elected by the Party Congress to frame them, and the Congress adopted the commission's text. But besides myself and one other majority adherent, the commission included three members of the Congress minority, so that in this commission which gave the Central Committee the right to organise the local committees, it was my opponents that had the upper hand. Comrade Luxemburg has confused two different things. In the first place, she has confused my organisational draft with the modified draft of the commission and with the Rules of Organisation as actually adopted by the Congress; secondly, she has confused the defence of a specific point relating to a specific clause of the Rules (in that defence I was by no means intransigent, for I did not object at the plenary session to the amendment made by the commission) with the defence of the thesis (truly “ultra-centralist”, is it not?) that Rules adopted by a Party congress must be adhered to until amended by a subsequent congress. This thesis (a “purely Blanquist” one, as the reader may readily observe) I did indeed defend in my book quite “intransigently”. Comrade Luxemburg says that in my view “the Central Committee is the only active nucleus of the Party”. Actually that is not so. I have never advocated any such view. On the contrary, my opponents (the Second Party Congress minority) charged in their writings that I did not sufficiently uphold the independence of the Central Committee, that I made it too subordinate to the editorial board of the Central Organ and the Party Council, bodies located abroad. To these charges I replied in my book that when the Party majority had the upper hand in the Party Council, the latter never made any attempt to interfere with the Central Committee's independence, but that when the Party council became a weapon of the minority, this did immediately happen. Comrade Rosa Luxemburg says that there are no two opinions among the Russian Social-Democrats as to the need for a united party, and that the whole controversy is over the degree of centralisation. Actually that is not so. If Comrade Luxemburg had taken the trouble to acquaint herself with the resolutions of the many local Party committees that constitute the majority, she would readily have seen (which incidentally is also clear from my book) that our controversy has principally been over whether the Central Committee and Central Organ should represent the trend of the majority of the Party Congress, or whether they should not. About this “ultra-centralist” and “purely Blanquist” demand the worthy comrade says not a word, she prefers to declaim against mechanical subordination of the part to the whole, against slavish submission, blind obedience, and other such bogeys. I am very grateful to Comrade Luxemburg for explaining the profound idea that slavish submission is very harmful to the Party, but I should like to know: does the comrade consider it normal for supposed party central institutions to be dominated by the minority of the Party Congress?—can she imagine such a thing?—has she ever seen it in any party? Comrade Luxemburg says that I characterised my stand point more acutely, perhaps, than any of my opponents could have done when I defined a revolutionary Social-Democrat as a Jacobin who has identified himself with the organisation of the class-conscious workers. Yet another error of fact. It was P. Axelrod, not I, who first started talking about Jacobinism. He was the first to liken our Party trends to those of the days of the great French Revolution. I merely observed that the parallel could only be allowed in the sense that the division of present-day Social-Democracy into a revolutionary and an opportunist wing corresponded to some extent to the division into Montagnards and Girondists. The old Iskra, which the Party Congress endorsed, often drew such a parallel. Just because it recognised this division, the old Iskra fought against the opportunist wing in our Party, against the Rabocheye Dyelo trend. Rosa Luxemburg here confuses comparison of the two revolutionary trends of the eighteenth and the twentieth century with identification of those trends. If I say, for example, that the Jungfrau stands in the same relation to the Little Scheidegg as a house of four storeys to one of two, that does not mean I identify a four-storey house with the Jungfrau. Comrade Luxemburg leaves completely out of sight the factual analysis of the different trends in our Party. Yet the greater half of my book is devoted precisely to this analysis, based on the minutes of our Party Congress, and in the preface I call special attention to the fact. Rosa Luxemburg sets out to talk about the present position in our Party while totally ignoring our Congress, which was what really laid our Party's foundation. A rash enterprise, it has to be said! Particularly since I point out a hundred times in my book that my opponents ignore our Party Congress and by so doing leave all their assertions devoid of all foundation of fact. Comrade Luxemburg commits exactly the same basic error. She repeats naked words without troubling to grasp their concrete meaning. She raises bogeys without informing herself of the actual issue in the controversy. She puts in my mouth commonplaces, general principles and conceptions, absolute truths, and tries to pass over the relative truths, pertaining to perfectly definite facts, with which alone I operate. And then she rails against set formulas and invokes the dialectics of Marx! It is the worthy comrade's own article that consists of nothing but manufactured formulas and runs counter to the ABC of dialectics. This ABC tells us that there is no such thing as abstract truth, truth is always concrete. Comrade Rosa Luxemburg loftily ignores the concrete facts of our Party struggle and engages in grandiloquent declamation about matters which it is impossible to discuss seriously. Let me cite one last example from Comrade Luxemburg's second article. She quotes my remark that the way the Rules of Organisation are formulated can make them a more or a less trenchant weapon against opportunism. * [* See p. 273 of this volume.—Ed.] Just what formulations I talked about in my book and all of us talked about at the Congress, of that she does not say a word. What the controversy at the Party Congress was, and against whom I advanced my theses, she does not touch on in the slightest. Instead, she favours me with a whole lecture on opportunism ... in the parliamentary countries!! But about the peculiar, specific varieties of opportunism in Russia, the shades which it has taken on there and with which my book is concerned, we find not a word in her article. The upshot of all these very brilliant arguments is: "Party Rules are not meant in themselves [?? understand this who can!] to be a weapon of resistance to opportunism, but only an outward instrument for exerting the dominant influence of the actually existing revolutionary-proletarian majority of the Party." Quite so. But how this actually existing majority of our Party was formed Rosa Luxemburg does not say, yet that is exactly what I talk about in my book. Nor does she say what influence it was that Plekhanov and I defended with the help of this outward instrument. I can only add that never and nowhere have I talked such nonsense as that the Party Rules are a weapon “in themselves”. The best way to answer this kind of presentation of my views will be to set forth the concrete facts of our Party struggle. Anyone will then be able to see how ill Comrade Luxemburg's abstract commonplaces and formulas sort with the concrete facts. Our Party was founded in Russia in the spring of ~l898 at a congress of representatives of several Russian organisations. It was named the Russian Social-Democratic Labour Party, Rabochaya Gazeta was made the Central Organ, and the Union of Russian Social-Democrats Abroad became the Party's foreign representative. Very soon after the congress, the Central Committee of the Party was arrested. Rabochaya Gazeta had to cease publication after its second issue. The whole Party became a shapeless conglomeration of local Party organisations (known as committees). The only bond between these local committees was an ideological, purely spiritual one. A period of disunity, vacillation, and splits was bound to set in again. The intellectuals, who in our Party made up a much larger percentage than in the West-European parties, had taken up Marxism as a new vogue. This vogue very soon gave place to slavish acceptance of the bourgeois criticism of Marx, on the one hand, and an infatuation for a purely trade-unionist labour movement (strike-ism—Economism), on the other. The divergence between the intellectual-opportunist and proletarian- revolutionary trends led to a split in the Union Abroad. The newspaper Rabochaya Mysl, and the Rabocheye Dyelo magazine published abroad, expressed (the latter in somewhat lesser degree) the standpoint of Economism, they belittled the importance of political struggle and denied the existence of a bourgeois-democratic element in Russia. The “legal” critics of Marx—Messrs. Struve, Tugan-Baranovsky, Bulgakov, Berdyaev, and the rest—swung all the way to the Right. Nowhere in Europe do we find Bernsteinism arriving so speedily at its logical consummation—the formation of a liberal group—as was the case in Russia. There, Mr. Struve began with “criticism” in the name of Bernsteinism and ended by setting up the liberal magazine Osvobozhdeniye, liberal in the European sense of the term. Plekhanov and his friends, who broke away from the Union Abroad, met with support from the founders of Iskra and Zarya. These two publications waged (even Comrade Luxemburg has heard something about that) a “brilliant three-year campaign” against the opportunist wing of the Party, a campaign of the Social Democratic “Mountain” against the Social-Democratic “Gironde” (the expression belongs to the old Iskra), a campaign against Rabocheye Dyelo (Comrades Krichevsky, Akimov, Martynov, and others), against the Jewish Bund, against the organisations in Russia that eagerly espoused this trend (notably the St. Petersburg so-called Workers' Organisation and the Voronezh Committee). It became more and more obvious that the purely ideological bond between the committees was not enough. The need to create a really united party, that is, to effect what was only foreshadowed in 1898, asserted itself more and more insistently. 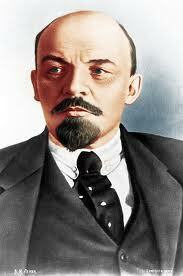 Finally, at the end of 1902 an Organising Committee was formed to convene the Second Party Congress. This Organising Committee, which was largely set up by the Iskra organisation in Russia, also included a representative of the Jewish Bund. In the autumn of 1903 the Second Congress was at last held; it ended, on the one hand, in the Party's formal unification, and on the other, in a split into “majority” and “minority”. That division did not exist before the Congress. Only a detailed analysis of the struggle at the Congress can explain this division. Unfortunately, the sup porters of the minority (including Comrade Luxemburg) shy away fearfully from any such analysis. The same thing happened in the elections to the Central Committee and the editorial board of the Central Organ. The compact majority consisted of 24 Iskra-ists, and they put through the long since planned reconstitution of the editorial board; of the six former editors, three were elected. The minority consisted of nine Iskra-ists, ten members of the “Centre”, and one anti-Iskra-ist (the other seven anti Iskra-ists, representing the Jewish Bund and Rabocheye Dyelo, had withdrawn from the Congress by then). This minority was so displeased with the elections that it decided to take no part in the rest of the elections. Comrade Kautsky was quite right when he said that the reconstitution of the editorial board was the main cause of the struggle that followed. But his view that I (sic!) “expelled” three comrades from the editorial board can only be attributed to his being totally uninformed about our Congress. In the first place, non-election is far from the same thing as expulsion, and I certainly had no power at the Congress to expel anyone; and secondly, Comrade Kautsky seems to have no inkling that the fact of a coalition between the anti-Iskra-ists,the “Centre”, and a small section of the Iskra adherents had political implications too and could not fail to influence the outcome of the elections. Anyone who does not wilfully close his eyes to what happened at our Congress is bound to see that our new division into minority and majority is only a variant of the old division into a proletarian-revolutionary and an intellectual-opportunist wing of our Party. That is a fact, and there is no explaining or laughing it away. Unfortunately, after the Congress the principles involved in this division were obscured by squabbling over co-optation: the minority would not work under the control of the central institutions unless the three ex-editors were again co-opted. This fight went on for two months. The weapons used were boycott and disruption of the Party. Twelve committees (out of the fourteen that spoke out on the subject) severely condemned these methods of struggle. The minority would not even accept the proposal, made by Plekhanov and myself, that they should set forth their point of view in Iskra. At the Congress of the League Abroad the thing was carried to the length of showering the members of the central bodies with personal insults and abuse (autocrats, bureaucrats, gendarmes, liars, etc., etc.). They were accused of suppressing individual initiative and wanting to introduce slavish submission, blind obedience, and so on. Plekhanov's attempts to characterise these minority methods of struggle as anarchistic did not avail. After this Congress Plekhanov came out with his epoch-making article against me, “What Should Not Be Done” (in No. 52 of Iskra). In this article he said that fighting revisionism did not necessarily mean fighting the revisionists; and it was clear to all that he was referring to our minority. He further said that one should not always fight the anarchistic individualism so deeply ingrained in the Russian revolutionary, that at times some concessions were a better way to subdue it and avoid a split. I resigned from the editorial board as I could not share this view, and the minority editors were co-opted. Then followed a fight for co-optation to the Central Committee. My offer to conclude peace on the basis of the minority keeping the Central Organ and the majority the Central Committee was rejected. The fight went on, they were fighting “on principle” against bureaucracy, ultra-centralism, formalism, Jacobinism, Schweitzerism (I was dubbed a Russian Schweitzer), and other such bogeys. I ridiculed all these accusations in my book and pointed out that they were either just a matter of squabbling about co-optation, or (if they were to be recognised, conditionally, as involving “principles") nothing but opportunist, Girondist phrases. The present minority are only repeating what Comrade Akimov and other acknowledged opportunists said at our Congress against the centralism of all the adherents of the old Iskra. The committees in Russia were outraged at the conversion of the Central Organ into the organ of a private circle, an organ of co-optation squabbling and Party scandal. A number of resolutions expressing the severest censure ~vere passed. Only the so-called St. Petersburg Workers' Organisation already mentioned and the Voronezh Committee (both of them supporters of Comrade Akimov's trend) pronounced their satisfaction in principle at the trend of the new Iskra. Demands to have the Third Party Congress summoned became ever more numerous. The reader who takes the trouble to make a first-hand study of the struggle in our Party will readily see that, concretely and practically, Comrade Rosa Luxemburg's talk about “ultra-centralism”, about the need for centralisation to be gradual, and the like, is a mockery of our Congress, while abstractly and theoretically (if one can speak here of theory at all) it is nothing but a vulgarisation of Marxism, a perversion of true Marxian dialectics, etc. The latest phase in our Party struggle is marked by the fact that the majority members have in part been ousted from the Central Committee, in part rendered useless, reduced to nonentities. (This happened owing to changes in the Central Committee's composition, etc.) The Party Council (which after the co-optation of the old editors like wise fell into the minority's hands) and the present Central Committee have condemned all agitation for ~ummoning the Third Congress and are taking the path of personal deals and negotiations with some members of the minority. Organisations which dared to commit such a crime as to agitate for a congress—as for instance a certain agent body of the Central Committee—have been dissolved. A campaign against the summoning of the Third Congress has been pro claimed by the Party Council and the new Central Committee all along the line. The majority have replied with the slogan “Down with Bonapartism !" (that is the title of a pamphlet by Comrade Galyorka, who speaks for the majority). More and more resolutions are being passed declaring that Party institutions which fight against a congress are anti-Party and Bonapartist. How hypocritical was all the minority's talk against ultra-centralism and in favour of autonomy is obvious from the fact that a new majority publishing house started by myself and another comrade (which issued the above-named pamphlet by Comrade Galyorka and some others) has been declared outside the Party. This new publishing house affords the majority their only opportunity of propagating their views, for the columns of Iskra are as good as closed to them. Yet—or rather just because of it—the Party Council has made the above ruling, on the purely formal grounds that our publishing house has not been authorised by any Party organisation. It need hardly be said how greatly positive work has been neglected, how greatly the prestige of Social-Democracy has suffered, how greatly the whole Party is demoralised by this nullification of all the decisions, all the elections made by the Second Congress, and this fight which Party institutions accountable to the Party are waging against the convening of the Third Congress. [*1] Comrade Kautsky has sided with Martov's formulation, and the argument he pleads is expediency. In the first place, at our Party Congress this point was not discussed from the standpoint of expediency, but of principle. That was the way the question was put by Axel rod. Secondly, Comrade Kautsky is mistaken if he thinks that under the Russian police regime there is such a big difference between belonging to a Party organisation and simply working under its control. Thirdly, it is particularly misleading to compare the position in Russia today to that in Germany under the Anti-Socialist Law. This article, written in reply to Rosa Luxemburg's article “Organ isational Issues in the Russian Social-Democratic Movement”, was sent to Kautsky for publication in the German Social Democratic journal Neue Zeit, but Kautsky would not print it. Rabochaya Gazeta (Workers' Gazette) was an illegal paper pub lished in 1897 by the Kiev group of Social-Democrats. Two issues appeared: No. 1 in August and No. 2 in December (dated November). The First Congress of the R.S.D.L.P. adopted Rabochaya Gazeta as the official organ of the Party, but the paper had to cease publication as a result of a police raid on the printing press and the arrest of the Central Committee. Concerning attempts to resume publication in 1899, see present edition, Vol. 4, pp. 207-09. The Anti-Socialist Law in Germany was promulgated in 1878. It suppressed all organisations of the Social-Democratic Party, mass working-class organisations, and the labour press; socialist literature was confiscated, and many Social-Democrats were de ported. The law was annulled in 1890 under pressure of the mass working-class movement. The members elected to the Central Committee at the Second Party Congress were Lengnik, Krzhizhanovsky, and Noskov. In October (New Style) 1903, Zemlyachka, Krasin, Essen, and Gusarov were co-opted; in November, Lenin and Galperin were coopted. In July- September 1904 further changes took place in the Central Commit tee's composition: Lengnik and Essen—supporters of Lenin—were arrested; the conciliators Krzhizhanovsky and Gusarov resigned; over Lenin's protests, the conciliators Krasin, Noskov, and Galpe rin unlawfully ousted the majority adherent Zemlyachka and co opted three conciliators: Lyubimov, Karpov, and Dubrovinoky. As a result of these changes, the majority oft he Central Committee now consisted of conciliators. Lenin is referring to the Central Committee's decision to dissolve its Southern Bureau, which had been agitating for the convening of the Third Party Congress. Galyorka—pseudOnym of the Bolshevik M. S. Olminsky (Alexandrov). This refers to the Bonch-Bruyevich and Lenin Publishing House of Social-Democratic Party Literature, started by the Bolsheviks after the Menshevik editors of Iskra closed the columns of the paper to them and refused to print statements by Party oi~anisations and members upholdimog the Second Party Congress decisions and demanding the convening of the Third Congress. It issued a number of pamphlets directed against the Mensheviks and conciliators: Lenin, The Zemstvo Campaign and “Iskra's” Plan; Galyorka, Down with Bonapartism! ; Orlovsky, The Council Against the Party, and others.